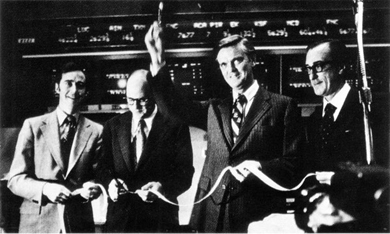 On April 26, 1973, financial professionals and dignitaries gathered to inaugurate the first day of trading on the Chicago Board Options Exchange (CBOE). Options trading was nothing new, but it had always been an arcane practice, its social value suspect. (70.) November 14, 1973 "Options: The New Game in Town,?" Address by SEC Commissioner A. A. Sommer, Jr. to the Securities Regulation and Enforcement Cooperative Conference; New York Times, April 27, 1973.